Charles Perrow is famous worldwide for his ideas about normal accidents, the notion that multiple and unexpected failures--catastrophes waiting to happen--are built into our society's complex systems. In "The Next Catastrophe," he offers crucial insights into how to make us safer, proposing a bold new way of thinking about disaster preparedness. Perrow argues that rather than laying exclusive emphasis on protecting targets, we should reduce their size to minimize damage and diminish their attractiveness to terrorists. He focuses on three causes of disaster--natural, organizational, and deliberate--and shows that our best hope lies in the deconcentration of high-risk populations, corporate power, and critical infrastructures such as electric energy, computer systems, and the chemical and food industries. Perrow reveals how the threat of catastrophe is on the rise, whether from terrorism, natural disasters, or industrial accidents. Along the way, he gives us the first comprehensive history of FEMA and the Department of Homeland Security and examines why these agencies are so ill equipped to protect us. 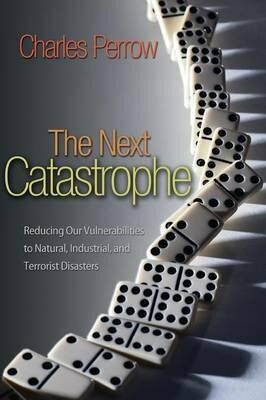 "The Next Catastrophe" is a penetrating reassessment of the very real dangers we face today and what we must do to confront them. Written in a highly accessible style by a renowned systems-behavior expert, this book is essential reading for the twenty-first century. The events of September 11 and Hurricane Katrina--and the devastating human toll they wrought--were only the beginning. When the next big disaster comes, will we be ready? In a new preface to the paperback edition, Perrow examines the recent (and ongoing) catastrophes of the financial crisis, the BP oil spill, and global warming.